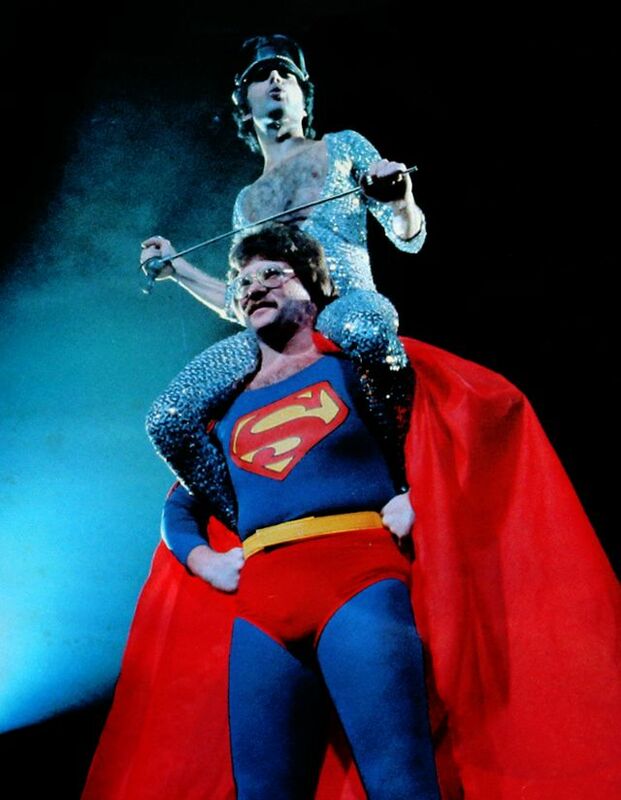 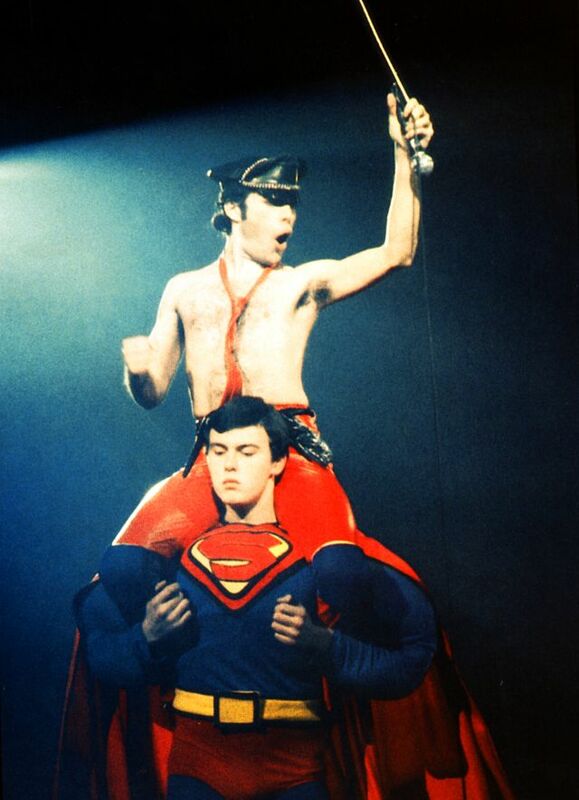 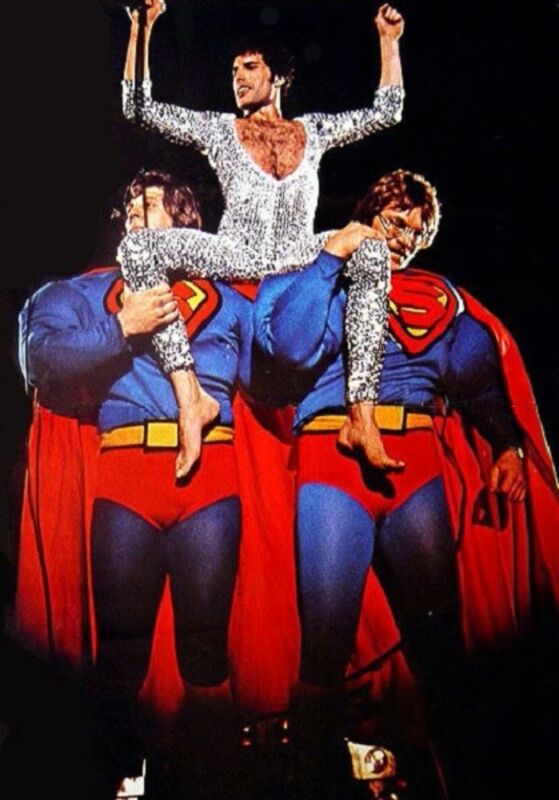 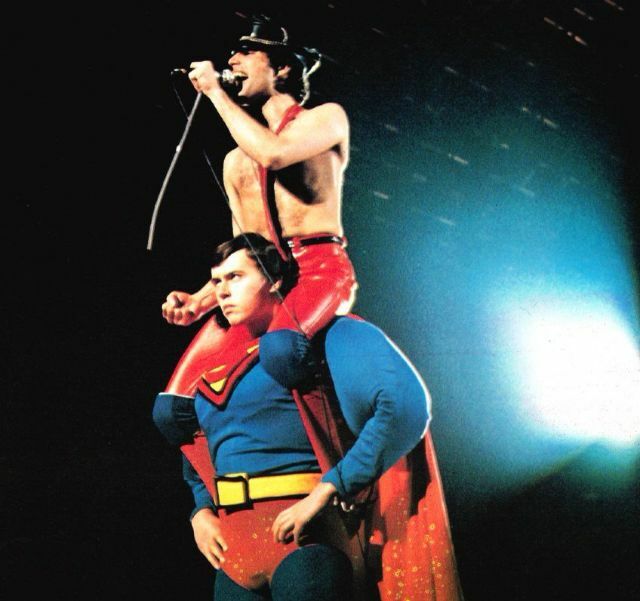 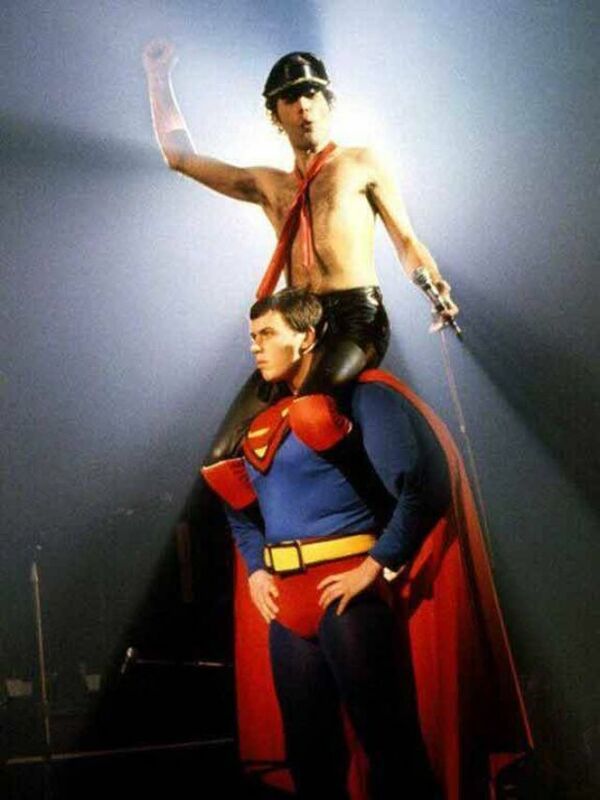 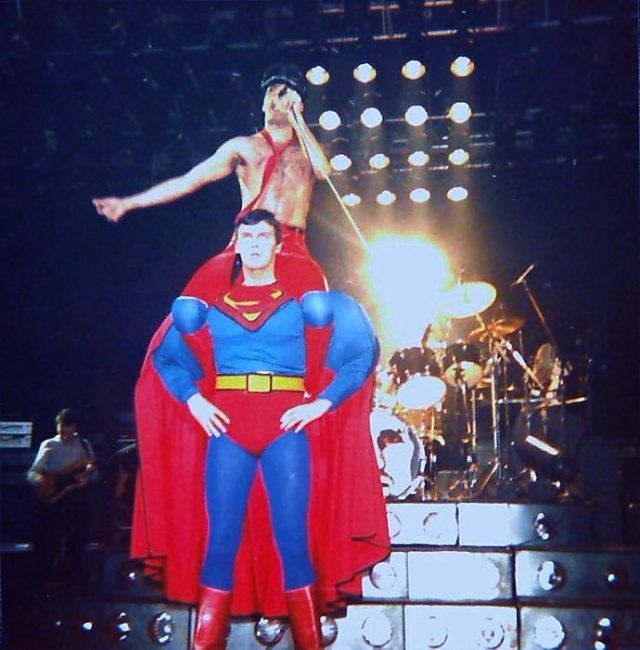 Freddie is being carried by "The Man of Steel" Superman while performing "We Will Rock You" in Queen concerts during Crazy Tour in November and December 1979. 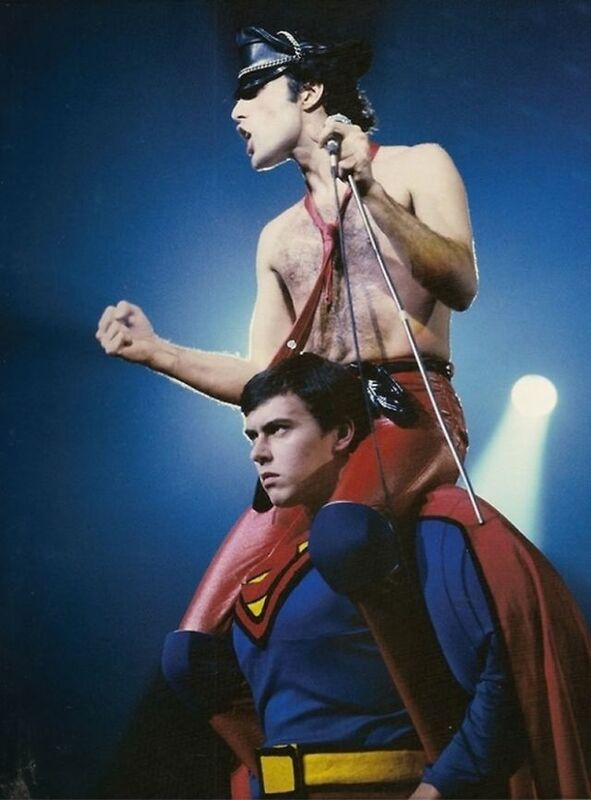 After the release of the single "Crazy Little Thing Called Love", the band decided to change the concert dynamic they used to do the last years. 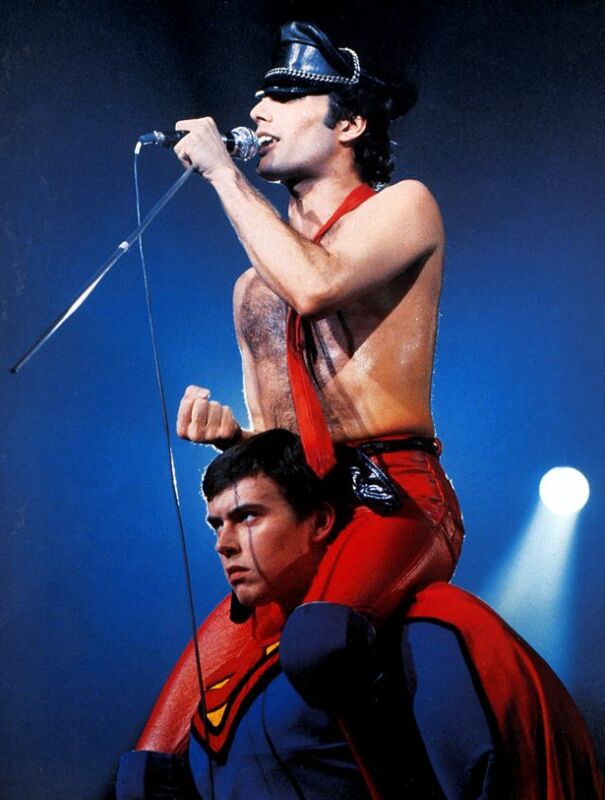 In this tour Queen would revisit smaller venues, many which held fewer than two thousand seats. 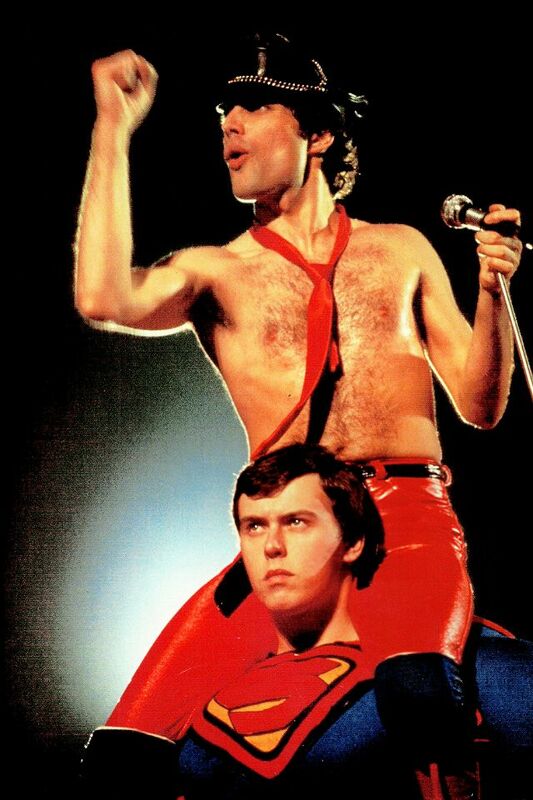 The Crazy Tour is generally considered by fans to be Queen's strongest tour they ever did in terms of performance quality.